A recent installation of wooden garage doors Cumbria. We are building a new build garage for a client in the Lake District, Cumbria. The main property itself is very old and quite grand – a manor house. The garage, although brand new, will be built in a traditional style so as to fit in with the manor. The garage doors will need to be sympathetic to this and must be timber. 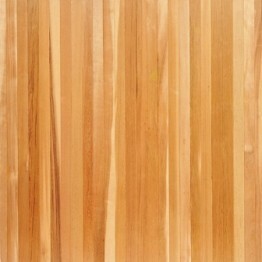 We would like a plain vertical boarded effect and the products should be of excellent quality. 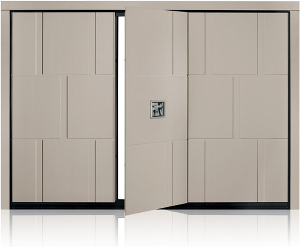 The doors will need to be automated and the client must have the ability to control all the doors from one handset. As a result of the brief we made several suggestions. Out of these, the customer chose the Cedar Door Bakewell. They are up and over garage doors and as the brand name suggests this door is made from cedar wood. Cedar is just about the perfect timber to make garage doors from. The wood is light in weight and naturally rot resistant. 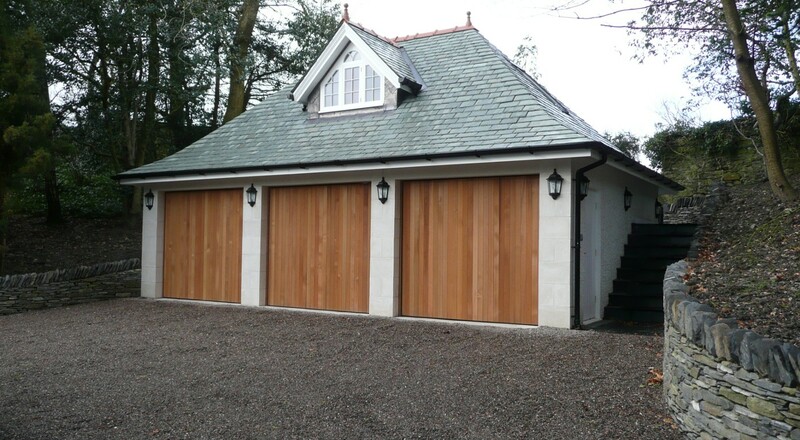 We have dealt with the Cedar Door company for many years and have found their wooden garage doors to be some of the best available. We used hardwood timber frames for longevity and strength. 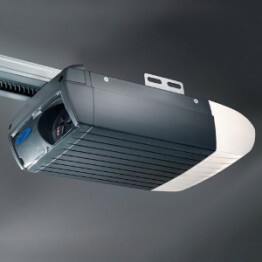 For the automation we used the powerful Novoferm Novomatic 553 on each of the doors and used 4 button handsets. We programmed the handsets so that the customer could open any of the doors individually or with the fourth button open all three doors at once. As well as the Cedar Door wooden garage doors Cumbria we installed here, we are also offer lots of other types of wooden garage doors. 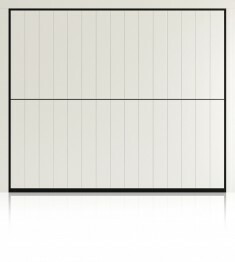 We have luxury timber garage doors from Italian manufacturer Silvelox. 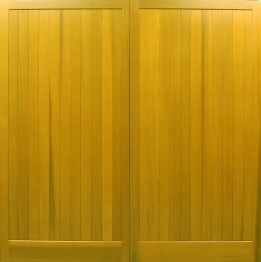 These doors are available in a wide range of different timbers including oak and larch.